Local kennels are scattered in towns throughout the U.S. So finding a local kennel near your home is somewhat simple, especially if you are have used one in the past or have great recommendations from friends. But what about when you’re traveling? This is when you need to do your due diligence. Research is key. Most people that travel with pets need the services of a local kennel at one time or another during their vacation or business trip. While there are many places that allow pets, there are those that don’t. They may include historic sites, monuments, theme parks, or museums. So the key to making your travel with your pet is finding local kennels that are to your liking in whatever cities or towns you intend to visit. Keep in mind that today’s kennels are more inclined to treat your pet well, as they are vying for your business more now than ever before. Most have made it so pets actually enjoy their visits. Vacation Pet Friendly has made finding local kennels an easy task. Simply type in the name of the city you intend to visit in our Travel Guide search box on the homepage. Below is an example of how you can research local kennels. Just the same, after searching through our listings, you will want to call the facility and ask questions. 1. What are their hours? 2. Do they have 24/7 staff? 3. How many people are on staff during the busy hours? 4. What is the maximum number of animals they care for? 5. What is their exercise program? 6. Do they have an indoor and outdoor play and exercise area? 7. Is there anyone at the facility that is trained in animal CPR? 8. Do they keep big and small dogs separated? 9. What extras do they offer–homemade treats, grooming, exercise program etc. 10. Have they ever had any complaints? Just like with children, when leaving your pets, you want to make sure they are in the best possible care. You want them to be with people who are experienced, familiar with possible problems, and who actually love to take care of animals! Talk to the staff; don’t be shy, speak up and ask all the questions you like. Good kennels understand your concerns and answer them thoroughly. If at home, consider a trial run for a day to see how your pet reacts to the kennel environment. Once you find a local kennel that you and your pet like, it will be much easier to travel and leave your pet when you need to. If on the road or at home, please, once your pet does stay at a kennel, rate it so the next traveler will know if your experience was good or not. Another consideration would be to leave your dog or cat at a pet hotel, which typically is much more costly. 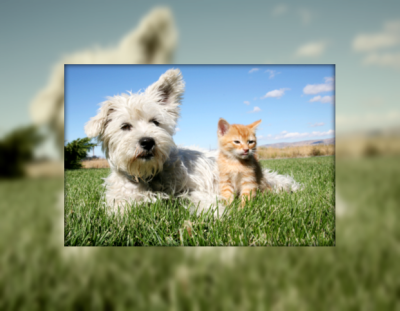 Pet hotels represent the lap of luxury in pet boarding, however, really all your pet needs is to be cared for and shown some love and attention while you are away. There also are dog hotels, but these can be costly. Depending on your budget, it might be worth checking them out. Here is a good article for you to read on dog hotels. 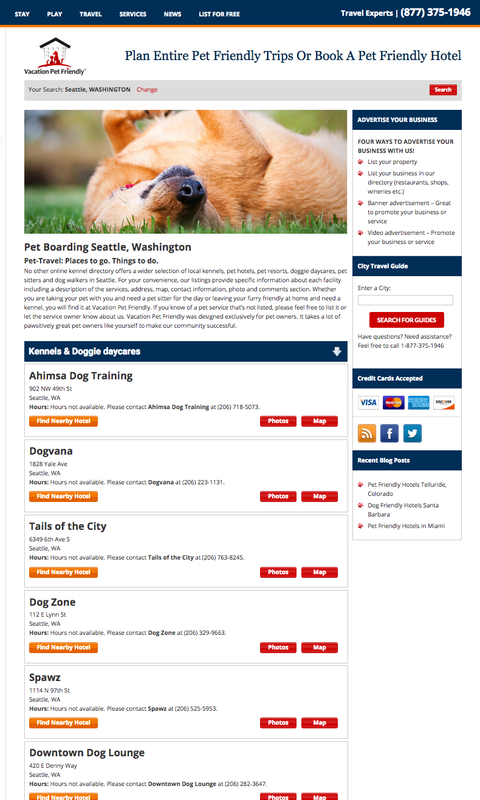 Keep in mind that our listings are updated consistently to provide you with working links to existing kennel websites. We are a city-based website, so make sure you type in the city name you intend to visit in our Travel Guide and you will find the kennels category easily.